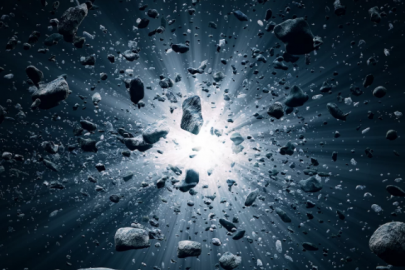 What’s to blame, space or stress? Astronaut Scott Kelly is remarkable for many reasons. He is a twin, has written multiple books, was commander of the International Space Station, and once had a serious Twitter bromance with Barack Obama. He also set the record for the longest consecutive time in space by an American astronaut, spending a total of 520 days in space with his longest run being a 340-day mission. 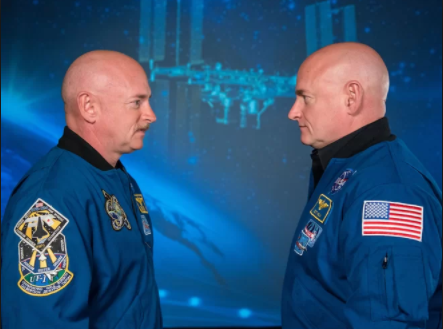 But Kelly’s most remarkable feat was recently revealed to be a byproduct of his ultralong space runs: Kelly’s DNA has changed so much that it no longer matches that of his identical twin, Mark Kelly. NASA studied both twins as a part of its Twins Study to compare what happened when one twin spent an extended period of time in space while the other remained back on Earth. The findings, according to CNN, found that seven percent of Kelly’s genes are no longer the same and no longer match his brother’s. 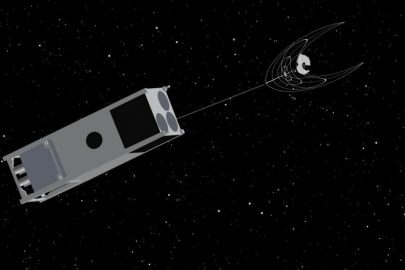 That seven percent mismatch — which scientists are now calling “space genes” — represents changes in RNA and DNA that are likely the result of oxygen deprivation, radiation, and calorie restriction, among other factors. It’s also worth noting that space enables a “hyperactive immune activity” as well as changes in blood clotting and bone formation, likely the result of extended time in zero gravity. What’s most curious about Kelly’s changes, though, are their connection to stress. The findings note that spaceflight stress can enable genetic mutations, turning genes on and off and affecting cellular functions. The stress was so big that his mitochondria — the so-called energizing “powerhouse of the cell” — may have been damaged due to his intergalactic travels. Similarly, the ends of Kelly’s chromosomes, his telomeres, also changed in length — a signal typically attributed to aging. While extended space time altering human DNA is fascinating, it raises a big question: did Kelly’s genes actually change because of space or because of the stress associated with space? It’s an obvious question that isn’t as far fetched (or as far away from an answer) as it might seem. For example, in late 2017, a study of mice revealed that stress changed the animals’ DNA due to environmental factors. Moreover, a 2015 study by the Children’s Hospital of Philadelphia found mitochondrial function can change due to mild stress, largely due to our response to said stressors. The latter study sought to recognize these changes in the hopes of helping physicians manage patient stress in order to curb the onset of stress-related diseases like heart disease. A similar signal — the change in telomere length — has also been associated with stress depression. A study of women with stress-related depression by the Wellcome Trust Centre For Human Genetics sought to find if telomere length shifts in stressed women were the fault of stress. Once again using mice, the study found that stress did indeed contribute to shortening telomeres and that this happening is perhaps a metabolic reaction to stress. The silver lining here is that these effects can partly be reversed by how we handle stressful situations. Naturally, the space stress and earth stress are very different, but the connection between them highlights how much stress can change the body. Considering how remarkably stressed Americans are (mostly because we don’t know where our nation is heading), these findings are of note to more than just the Kelly twins and serve as a reminder of self-care and the devastating power of stress. If anything, Kelly may not be as unique as NASA thinks he is since we all might have “space genes” — the difference is we just call that being stressed out.